On a Sunday I decided to go for a run and had a beautiful day to do it. It was early May, 70 degrees with a cool breeze that made it perfect to be out, even though I was doing something I really dislike but know has to get done. Two parks are directly across the street from me and for some reason I chose the furthest one on that day. As I made my way around the park and was going for the second lap, I jumped as something in a pile of leaves appeared to reach for me. Upon taking a closer look, what I thought to be a rat turned out to be a ferret. He was scrawny, dirty and thin. He looked scared as he slowly made his way over to me and even though I was nervous about handling an animal at that point in my life that I never touched, I picked him up and cradled him in my shirt. I spent the next hour going through the park and walking up several streets trying to find his owner. Got him a box and fed him some Honeycombs, because after all I had no idea what these animals ate, and watched him nearly choke because he was eating so fast probably out of starvation. 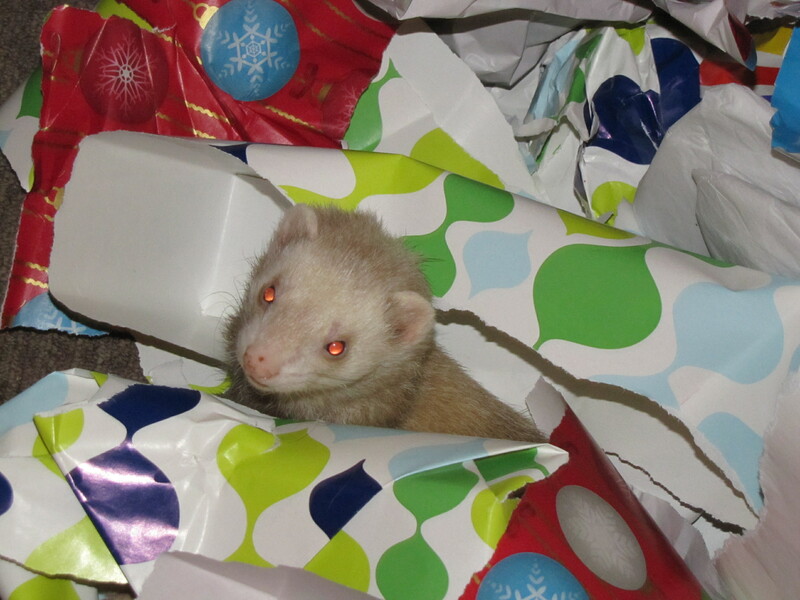 No one claimed this little ferret, so I went and bought him a three tier cage equipped with everything ferret’s like, bought him the appropriate food and spent nearly the next four years with an animal who absolutely appreciated that he was rescued. He became apart of our family and was deeply missed when he passed. It’s nice to go to a pet store and search for the perfect puppy, kitten or other small newborn animal, but remember, there are so many animals who are up for adoption that know you rescued them if given the chance. You will form a bond with your rescued friend unlike anything you’ve ever experienced. So, if you’re thinking of getting a new animal, please think of adopting because you’re not only getting a new companion, you’re also saving a life.